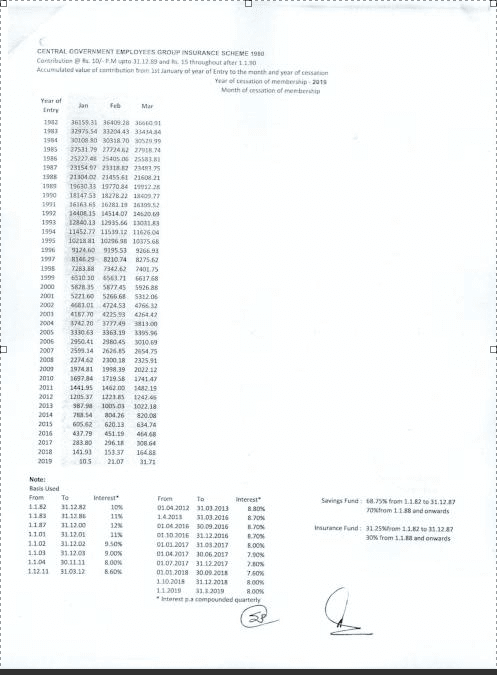 Sub: Central Government Employees Group Insurance Scheme-1980 - Tables of Benefits for the Savings fund for the period from 01.01.2019 to 31.03.2019. The Tables of Benefits for Savings Fund to the beneficiaries under the Central Government Employees Group Insurance Scheme-1980, which are being issued on a quarterly basis from 01.01.2017 onwards, as brought out in this Ministry’s OM of even number dated 17.03.2017 , for the quarter from 01.01.2019 to 31.03.2019, as worked out by IRDA based on the interest rate of 8% per-annum (compounded quarterly) as notified by the Department of Economic Affairs as per their Resolution No. 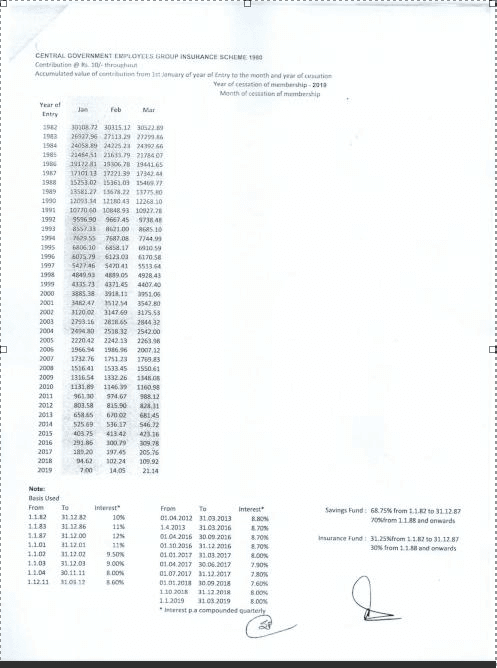 9(1)-B(PD)/2018 dated 03.01.2019, are enclosed. 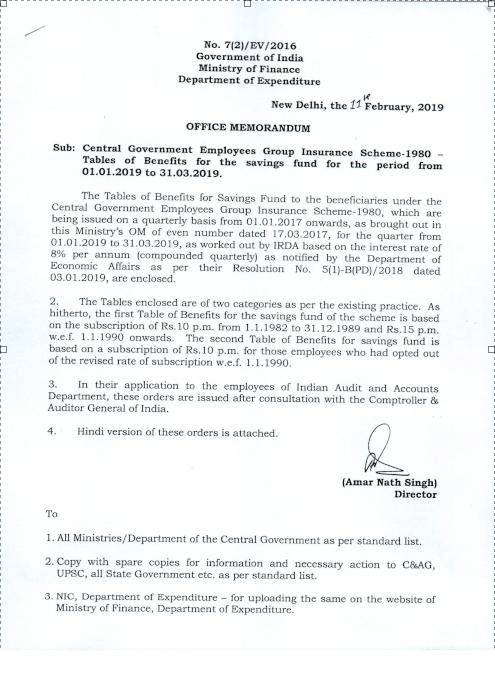 Central Government Employees Group Insurance Scheme-1980 - Tables of Benefits for the Savings fund for the period from 01.01.2019 to 31.03.2019.